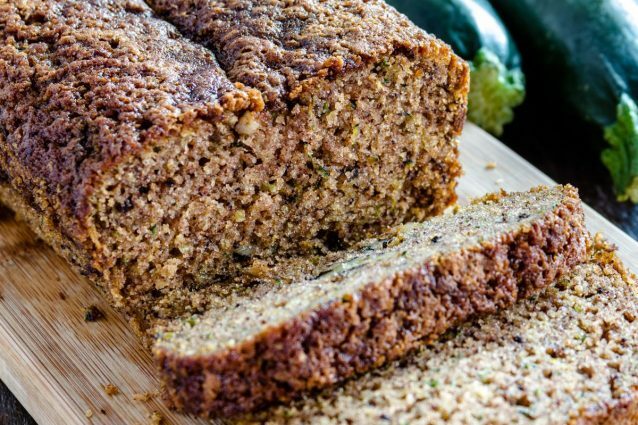 Zucchini bread is such a wonderful and simple bread to make and this recipe will create a perfect loaf every time! Fresh grated zucchini is the basis of this beautiful bread and is a fantastic way to add some extra vegetables to your diet. A little bit of zucchini also goes a long way with just two cups of grated zucchini making two full loaves of bread- and you can get about two cups from just one zucchini, amazing! So get out your vegetable grater and get ready for a tasty, moist bread that is perfect for breakfast, snacks or even dessert! In a separate medium sized bowl, whisk together the sugar, vanilla, oil and eggs. Add the dry ingredients to the egg mix and whisk until a smooth batter forms. Fold the zucchini into the batter until fully combined. 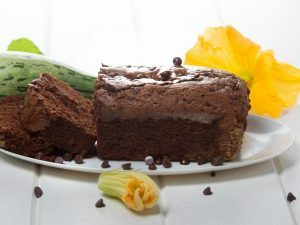 You do not need to squeeze the juice out of the zucchini like in some recipes- the juice will make the bread nice and moist! Pour the batter into two greased and floured loaf pans and bake for 45 minutes in a 350 ̊F oven. Allow the bread to cool in the pan before removing and slicing! -Zucchini bread freezes really well so wrap a loaf in plastic wrap and freeze for another day. -Coconut oil is a healthy substitute for vegetable oil in this recipe and gives the bread a great extra tropical flavor. 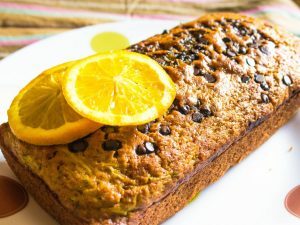 Zucchini bread: easy and tasty!